Belated Merry Christmas to those of you who celebrate it! I hope you are all enjoying the festivities and gearing yourself up for the New Year. Do any of you make resolutions for the new year? I used to make some when I was younger but by mid-January they had been forgotten about! This year I’m going to try something different, instead of resolutions where I have to give up something, I’m going to try to add something to my life! As I’ve now written these down and shared them with you, I’ll update you periodically about how I am getting on! I’d love to hear your resolutions. The following recipe is easy, I’m not sure it even counts as a recipe! 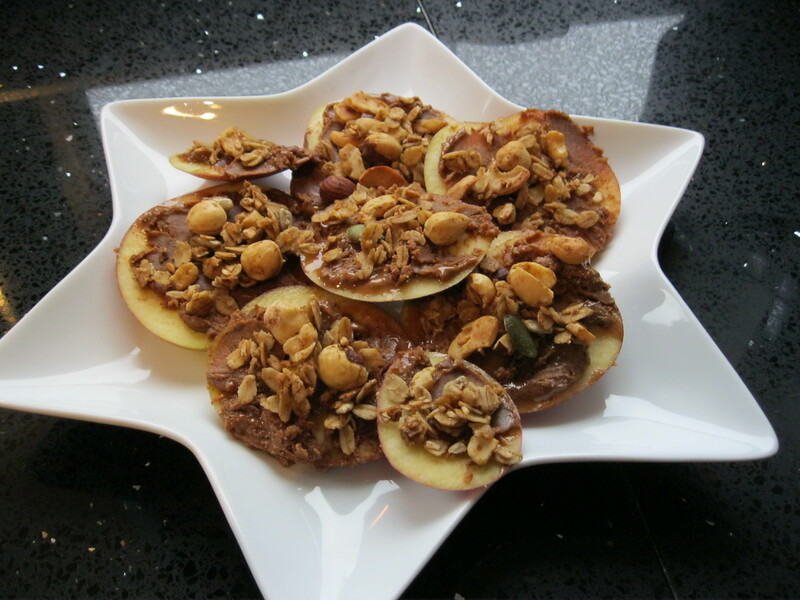 But the other day I wanted something with a bit of crunch yet filling and came up with this snack. 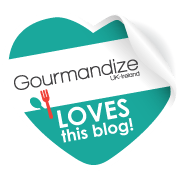 It helped the afternoon slump and staved off hunger until dinner time! Certainly more filling and nutritious than a bag of crisps. I used almond butter but any nut butter will do as will any variety of nuts if you don’t have any granola to hand. 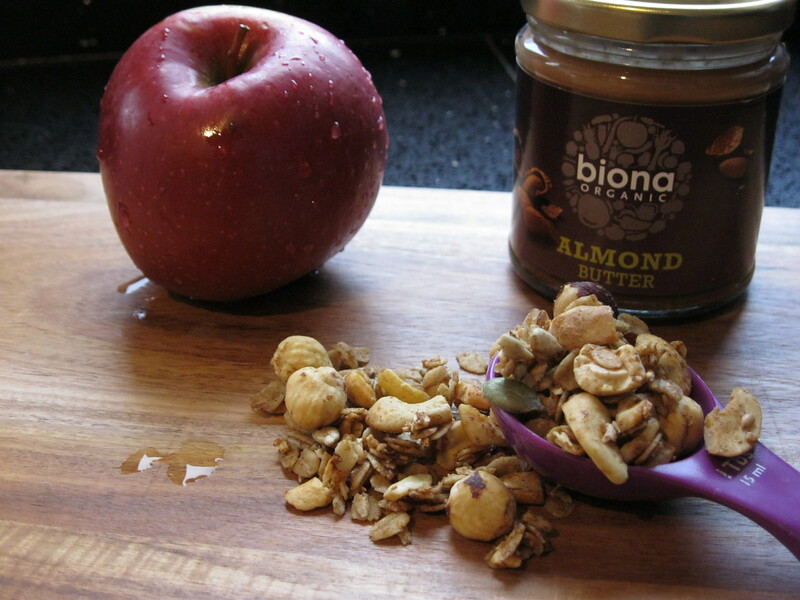 Slather the nut butter onto the apple discs and sprinkle on the granola. Ta Dah! I would like to wish you all a Happy New Year and I look forward to sharing more recipes with you all in 2014. I’m going to try and be more positive and also try new things 🙂 have a wonderful new year ! !